Neptune provides effective on-board security to sea vessels, protecting them from attack during transit. Neptune previously used a range of Excel sheet to manage data and needed a more efficient alternative. Chittak was recommended to us by Lee Dredge (Director) at IT Support Business. 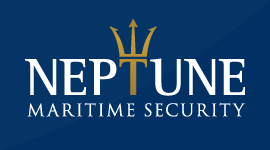 From the initial meeting we had with Trevor we went through the possibilities of what could be developed to the maximum benefit to Neptune Maritime Security and our expanding operations support. We were very confident in Chittak's software development capabilities and gave Trevor the immediate go ahead. Chittak started on the project immediately as we had strict deadlines with the expansion into our new Neptune office in Dubai and the key objective to achieve data consistence across the two offices in different timezones. Since the original project has been completed we have commissioned additional features to further enhance other aspects of our operational business processes and have been impressed with results. The Problem While Excel spreadsheet were enough when Neptune was starting out, they soon became to restrictive. 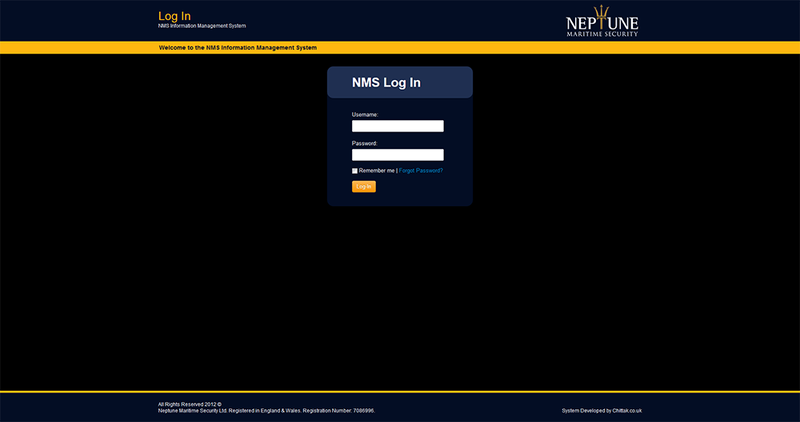 Neptune needed a central system where multiple users to manage the data while enforcing correct data entry. The Solution Our solution was a fully bespoke system built from the ground up. The information management system we built ensure only accurate and sensible data makes it into the system. Through use of Google map integration a visual representation of what was once static text allows Neptune to make quick decisions and improve overall efficiency. Registered Office: 70 Malmesbury Park Road, Bournemouth, BH8 8PJ. Company No: 06693726. © Copyright 2019 Chittak Ltd, All rights reserved.